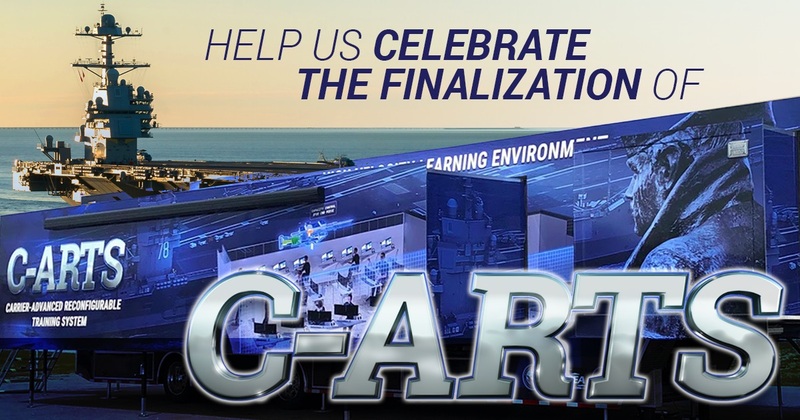 Today Cape Henry Associates (CHA) celebrated the official delivery and acceptance of the revolutionary Carrier-Advanced Reconfigurable Training System (C-ARTS). PEO Carriers hosted a ribbon cutting ceremony at the Washington Navy Yard, complete with open house tours of the new mobile training system. CHA was the prime contractor and lead system integrator in the development and production of the C-ARTS mobile units. 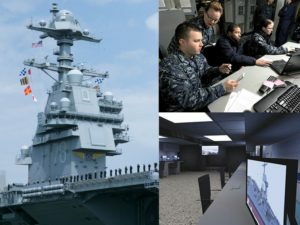 C-ARTS is the realization of an effort to improve the types and kinds of training readily available to naval personnel in response to the Navy’s Sailor 2025 training concept. The “Ready Relevant Learning” C-ARTS provides in the form of a High Velocity Learning Environment is both reconfigurable and state-of-art, incorporating a wide variety of academic and hands-on learning with advanced virtual and augmented reality technology. Today’s event featured one of two C-ARTS trailers delivered this quarter. For the duration of 2018, the mobile units will reside in Newport News, Va. In 2019, the two trailers, along with two more, will move to their new home at Naval Station Norfolk. C-ARTS currently supports CVN 78 crews, with a long-term goal of providing training support across the Department of the Navy. Acronyms. They’re everywhere. We see an acronym and we might look up what it stands for, but rarely do we take it further and actually research what it is. Let’s go beyond the acronym “SBIR,” and learn a little bit about what it is and what it means to Cape Henry Associates (CHA). SBIR stands for Small Business Innovation Research. 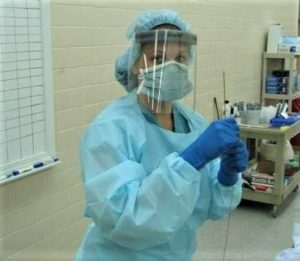 For our purposes, SBIR is a United States government program, coordinated by the Small Business Administration, that awards research funds to small businesses to help facilitate research into and development of scientific excellence and technological innovation. CHA uses SBIR to research and develop technology aimed at providing the highest level of support to our military branches, and as such, SBIR is a foundation of our company. Using SBIR, CHA created and continues to improve our Lighthouse technology. Lighthouse software is, as we describe it, a technology stack designed to function as a platform to integrate diverse datasets. Lighthouse provides the framework on which we rapidly develop software applications around common data elements. Currently, Lighthouse is used in almost all of our service areas and has become the “neural network” that feeds Cape Henry’s production efforts. Lighthouse is instrumental in our analysis work products, such as our CoBRA (Configuration-Based Requirements Analysis) product. We can easily aggregate and analyze organizational manpower and training data from many disparate sources into a cohesive and easily interpreted product. Lighthouse helps us to deliver one-version-of-the-truth and ensures our analysis is rooted in empirical data. Because of Lighthouse’s success, it has been requested by the military via several new contracts CHA will be working on in the coming years. Lighthouse is also central to our new High Velocity Learning Environment (HVLE) product line, currently being delivered by CHA as part of the C-ARTS solution. C-ARTS (yet another acronym, standing for Carrier-Advanced Reconfigurable Training System) is a training system that is available at the point-of-need, in whatever medium that training is needed. Lighthouse provides all control and access functions to a C-ARTS system-of-systems specifically designed to deliver the most advanced learning content available to the most advanced nuclear aircraft carrier on our planet, the USS Gerald R. Ford, CVN-78. CHA continually strives to provide the very best products we can, to ensure our clients are the best they can be, and the SBIR program is vital in this endeavor. Have you ever wondered exactly what type of services Cape Henry Associates (CHA) offers? You can break down what we do into three categories: Professional Services, Training, and Manpower/Personnel Analysis. There is a lot of overlap between the three categories so we can offer comprehensive services to our clients. For example, our Lighthouse technology, developed exclusively by CHA, can be used to successfully complete Small Business Innovation Research (SBIR) contracts or be used as the command and control center within an advanced learning environment. Here’s a look at three areas in which CHA excels at producing and providing the absolute best product available. Everything we do is with the aim to provide the best, cutting-edge services to our clients. Our Configuration-Based Requirements Analysis service, or CoBRA, is our approach to Training Gap Analysis. Using the aforementioned Lighthouse technology, CHA’s CoBRA team analyzes data from disparate sources to provide a comprehensive picture of manpower and training information. 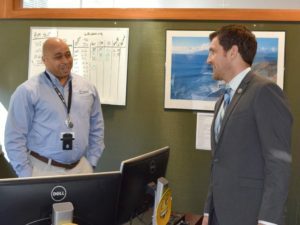 The CoBRA team applies the Navy’s “no action prior to verification” concept to ensure its information analysis processes are the most accurate in the business. This is why CHA is one of the primary providers of Availability MPT Planning and Implementation to the Navy’s nuclear-powered aircraft carrier fleet. Our services’ founding pillar is Systems Analysis and Training Requirements, or SATR. 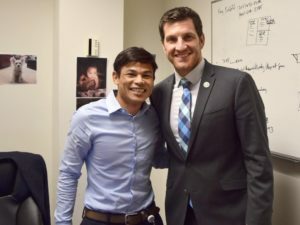 SATR is CHA’s way of analyzing future assets and changes along with present-day assets and training to develop practical training options that reflect our expert knowledge of systems operations and our rigorous analysis of operating content. Our expertise and unique SATR program have ensured our continuous service to six NAVSEA commands since 2009. At the heart of everything we offer is the idea that we are providing the tools necessary to help our clients become the best they can be; this is what makes our Training Development (TRADEV) department so important. CHA’s TRADEV team is comprised of 23 first-rate professionals who between them have more than 346 years of work experience. These talented individuals regularly produce training content on time, often despite significant challenges. TRADEV’s dedication to state-of-the-art, computer-based training that is available anywhere, anytime has made them sought after worldwide. 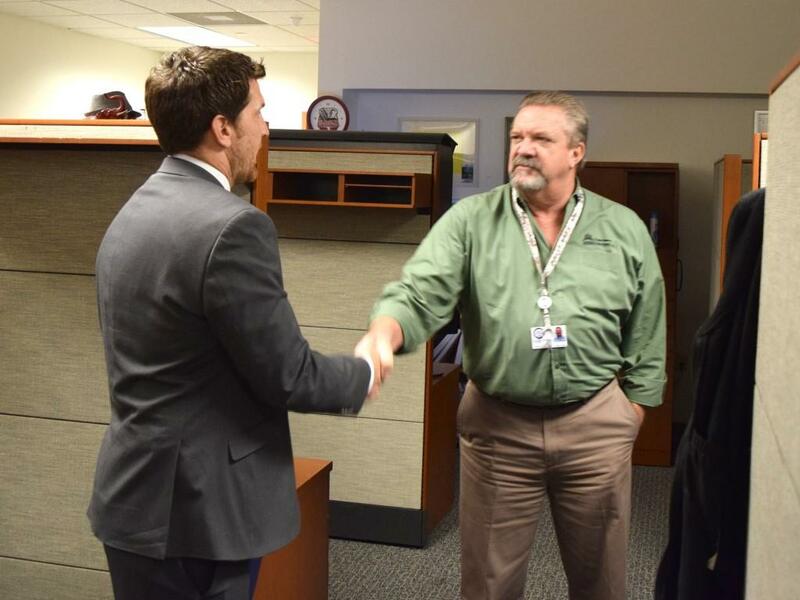 The quality of our services continues to improve rapidly thanks to the dedication and quality of our employees. For more information about any of these services, or others we haven’t discussed yet, visit our website. There are lots of facts about how and where our services are helping our clients be the best they can be, as well as more in-depth information about how our services are implemented. VIRGINIA BEACH, Va. – March 6, 2018 – FoxGuard Solutions, Inc. (FoxGuard) recently partnered with Cape Henry Associates (CHA) in support of a $4.2 million task order related to design, development, and delivery of the Carrier-Advanced Reconfigurable Training System (C-ARTS). C-ARTS is a mobile, scalable, reconfigurable High Velocity Learning Environment (HVLE) powered by CHA’s Small Business Innovative Research (SBIR) Lighthouse technology product. FoxGuard worked with CHA to design and deliver purpose-built, liquid-cooled, high-end computer systems for the C-ARTS build. To facilitate technology-based training inclusive of virtual reality and intensive simulations, CHA needed high-end computers with high-end graphics processing units (GPUs) in a small form factor. The heat produced by these high-end components in a small form factor required a liquid-cooled solution for optimal computer performance. FoxGuard worked hand-in-hand with Cape Henry’s engineers to identify the chassis, cooling requirements, long life cycle components, and reliable parts that would meet the requirements for this project. “By working with FoxGuard, CHA was able to access FoxGuard’s engineering team to obtain expert recommendations and select the optimal systems builds that would be used to support our training and simulation solutions for our High Velocity Learning Environment,” said CHA Chief Executive Officer John Jackson. “FoxGuard Solutions has been overcoming thermal challenges to meet client needs in the energy industry for some time, and partnering with CHA in support of a Department of Defense training and simulation project opens an exciting new avenue for us,” said Nasri Salamoun, FoxGuard’s director of engineering. This C-ARTS project is being built in support of the U.S. Navy’s Ready, Relevant Learning (RRL) initiative as part of Sailor 2025. C-ARTS is set for final delivery in late spring of 2018. Founded in 2004, Cape Henry Associates (CHA) is a Service-Disabled Veteran-Owned Small Business (SDVOSB) specializing in Manpower Analysis, Personnel Analysis, and Training (MPT) services. Cape Henry Associates is a SeaPort-e prime contract vehicle holder and owns a Small Business Innovation Research (SBIR) technology, Lighthouse. Government agencies utilizing the Lighthouse application framework are entitled to sole-source contracting for MPT products and services. Cape Henry Associates employs a staff of more than 100 people, 69% of whom are veterans. With an overall on-time delivery of 99.5% for required deliverables, we take pride in the reputation we have built as the go-to company for all things MPT. Who in the world of CHA is Danielle Prieur? Danielle Prieur, or “Dani,” as we know her, goes by the title of Business Analyst at CHA, though she wears many hats around here as she supports our Director of Proposals and Chief Revenue Officer – she’s spent two years keeping these two in line (which probably qualifies her for a medal or something)! Dani is probably one of the happiest people we know and always keeps us laughing around the office with her comedic antics and desire to spread joy wherever she goes. Her personal philosophy that “happiness is a daily choice” is something she practices with zeal, and it spills over into everything she does. She says her favorite thing about CHA is the people, and we have to say that Dani is definitely one of our favorite things! 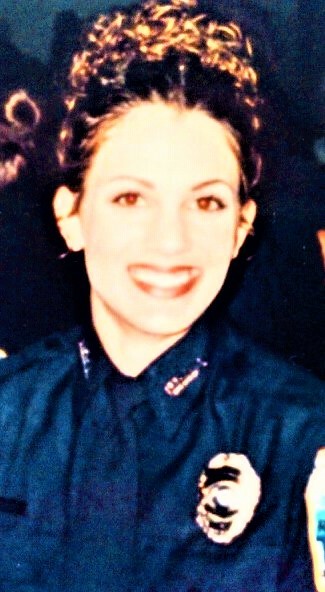 Dani comes from a long line of military service. Although she would say she’s never served, the fact that she is a widow of the Iraq War means she’s sacrificed for our country. Her family’s service and her own experiences have made her a patriot with the utmost respect for our military veterans and our country, and this makes her a perfect fit for CHA. Today, she is happily married with a stepdaughter and extended family who bring her much joy and help her enjoy her many hobbies, including road trips, camping, dodgeball, bicycling, hiking, bonfires, and tubing down rivers. You get the picture: Dani is what we call adventurous! We asked Dani to tell us something nobody else knows about her – not even those of us who see her smiling face every day at work. She told us that way back when even rainbows were black and white (who doesn’t love that visual?! ), she was Miss Virginia 1997 for Hawaiian Tropic and represented Virginia at the televised international pageant in Oahu, Hawaii! You KNOW that as soon as we finish this blog post, we’re going to be looking up that footage! 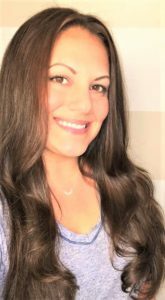 Here in the present where rainbows are multicolored harbingers of joy, Dani has a vision for CHA that is completely in keeping with our own: being the leading MPT provider, establishing a strong foothold in the AR/VR/MR sector with our HoloLens development initiatives, and revolutionizing training with our brand new, state-of-the-art C-ARTS program. Next time you’re in the CHA offices, make a point to track Dani down and say hello. We can promise you’ll leave with a smile on your face! 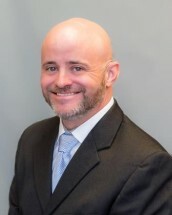 Cape Henry Associates (CHA) Project Management Office (PMO) Director Jay McGovern has been elected to the Board of Directors of the Hampton Roads Counsel of U. S. Navy League (HRCNL), becoming the second CHA employee on the board of one of the most active Navy League organizations in the United States. 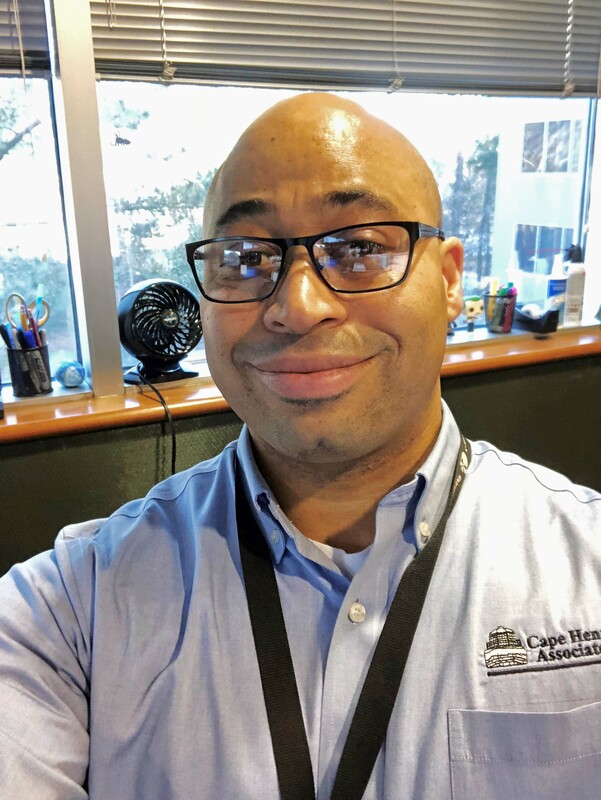 A 14-year Navy Veteran, Jay began working with Cape Henry in 2007 as a weapons system analyst. He advanced within the company and eventually found himself leading the newly formed PMO, a position that keeps him abreast of the latest technologies affecting the Fleet. 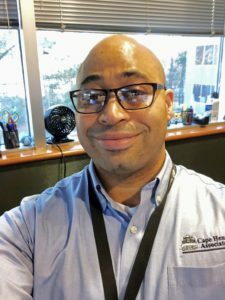 As Cape Henry Associates grew into a corporate affiliate of the HRCNL, Jay was selected to participate as a representative of the company. 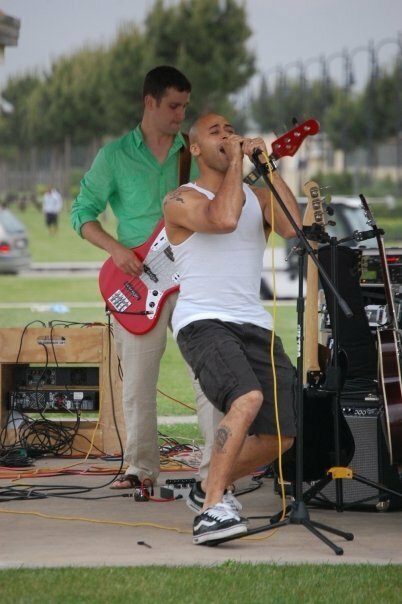 Jay was born into a Navy family and grew up in a Navy town. He attended boot camp and “A” school in Great Lakes, where he quickly fell in love with the Navy esprit de corps. After “C” school in Dahlgren, Va., he was ready for the Fleet. Jay’s various tours were filled with opportunities to work with and for individuals and Navy leaders in a wide range of challenging situations, further fueling his enthusiasm for our U.S. Navy. His recent appointment to the Navy League board shows his continued commitment to our Navy and this community. This year, Cape Henry Associates (CHA) is proudly embracing the opportunity to be one of Santa’s helpers. 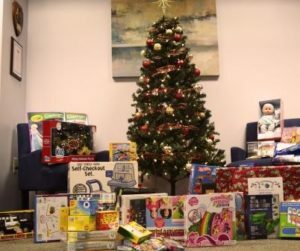 In partnership with ForKids, CHA is collecting toys for children who may not otherwise receive Christmas gifts. To date, more than 100 toys have been collected and more are expected before the end of this year’s drive. ForKids is a Virginia organization that helps families, through a variety of services, break the cycle of homelessness and poverty. It is among the largest providers for homeless families in the state. This year, ForKids has provided housing for 370 families with almost 800 children. Contact ForKids to help. Cape Henry Associates (CHA) attended the Interservice/Industry Training, Simulation, and Education Conference (I/ITSEC) during the last week of November in Orlando, Fla. I/ITSEC, held annually, is the largest conference of its kind in the world and is organized by the National Training and Simulation Association (NTSA), a subsidiary of the National Defense Industrial Association (NDIA). 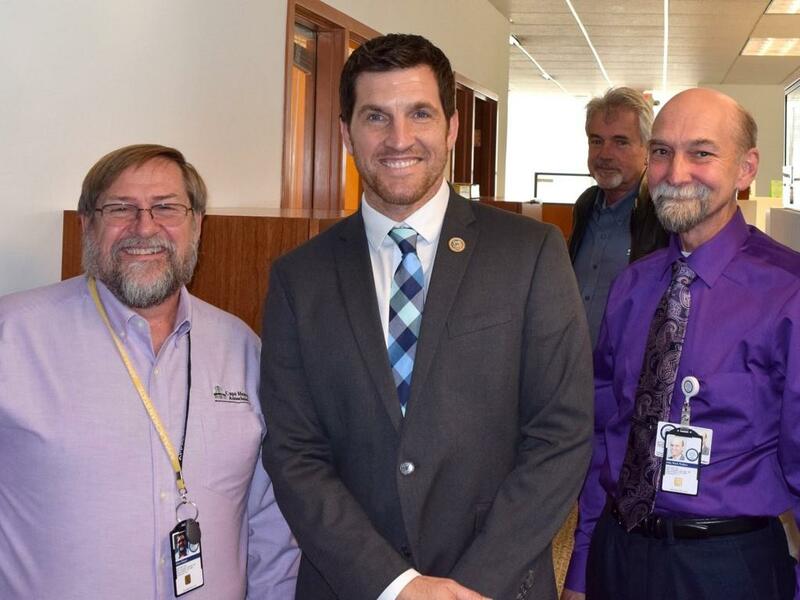 Representatives from CHA were able to meet and talk with congressional members who directly influence training and simulation at the congressional level. 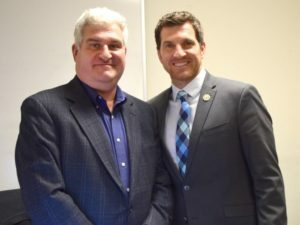 In addition, they had the opportunity to hear from keynote speakers General David G. Perkins, Commanding General, U.S. Army Training and Doctrine Command, and Don Ariel, Co-Founder and CEO of Raydon Corporation; as well as participate in the 3rd year of the Operation Blended Warrior program (OBW). OBW’s goal is to address the integration of the Live, Virtual, and Constructive disciplines into one dynamic tool over a four-year period. Finally, CHA attendees had the opportunity to learn about and comment on the concerns facing our military services as they seek to remain at the height of readiness during a time of declining budgets and expanding threats. It was a week well spent interacting with numerous international entities all dedicated to making training, simulation, and education the best and most effective it can be. 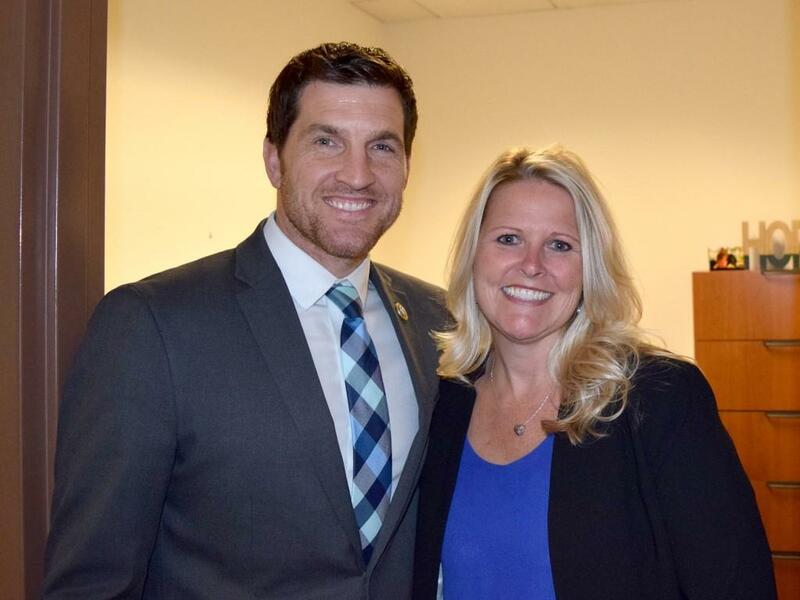 Cape Henry Associates (CHA) was pleased to welcome United States Representative and former Navy SEAL Scott Taylor to our offices Monday, Nov. 20. 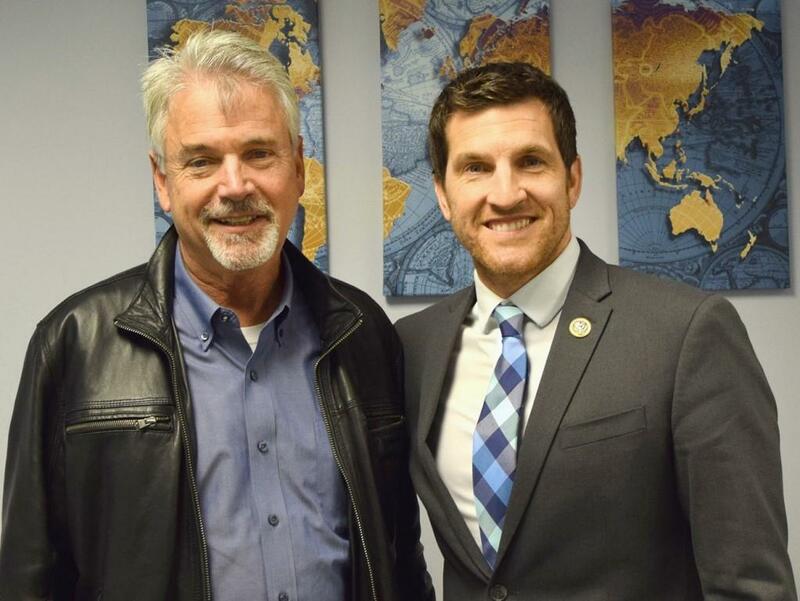 The congressman, who represents Virginia’s 2nd congressional district, enjoyed a tour of the Virginia Beach headquarters, spending time with corporate leadership and learning about the many services CHA has to offer. 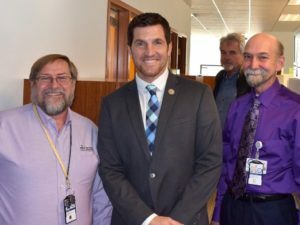 Among the primary topics of discussion were the recent Lighthouse Small Business Innovative Research (SBIR) Phase III award and the innovative new training facility, Carrier-Advanced Reconfigurable Training System (C-ARTS), a platform allowing almost every modality of training content to be delivered at the point of need. 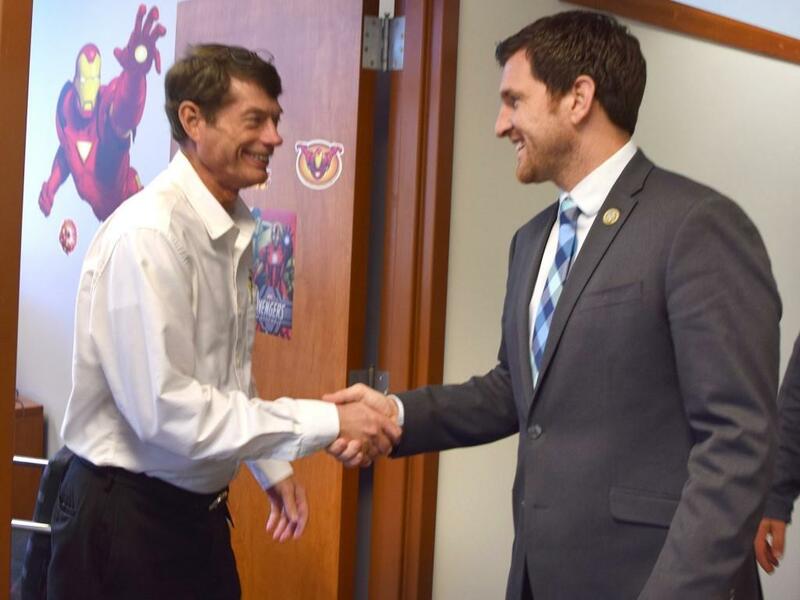 We were also happy to discuss our recently awarded Army and Navy contracts with Mr. Taylor, as he shares CHA’s dedication to providing the best service to those who serve in uniform in defense of America.